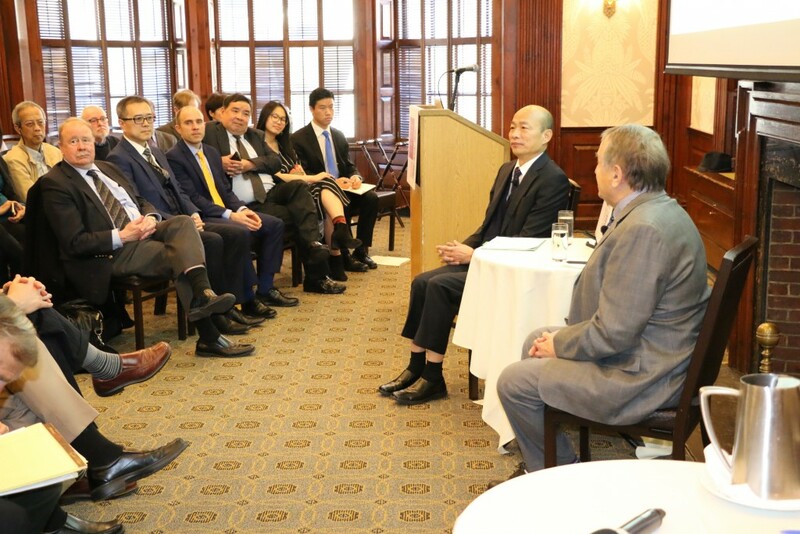 TAIPEI (Taiwan News) — Kaohsiung Mayor Han Kuo-yu (韓國瑜) said during a conference at Harvard University on Thursday (April 11) that Taiwan and China should seek a peaceful coexistence. Han said Taiwan’s only military threat comes from Beijing, and wisdom should be used to avoid conflict. Han also said Taiwan should not drag the U.S. into the water because it cannot resolve cross-strait problems, according to the Central News Agency. 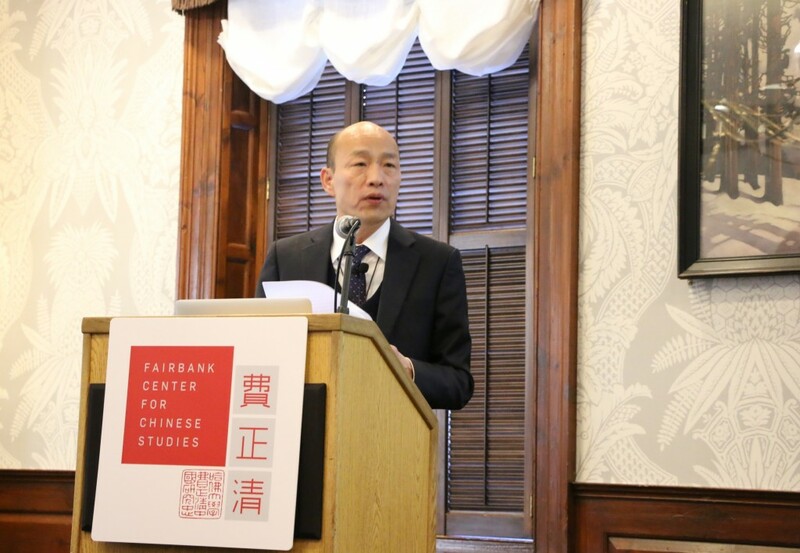 The closed-door conference was held at Harvard’s Fairbank Centre for Chinese Studies. 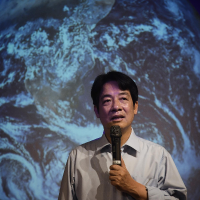 Han delivered a short, 20-minute speech, CNA reports, during which he said the biggest challenge for any future leader of Taiwan is maintaining cross-strait peace and ensuring Taiwan is not excluded from important international events. 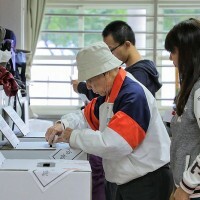 Han said two things that ought not be doubted are the determination of the Taiwanese to pursue democracy, and the determination of Beijing to “recapture” Taiwan. Strengthening national defense is of utmost importance, he said, and China’s enormous military power should not be overlooked. Therefore, he said, Taiwan must pursue a peaceful coexistence with China and use wisdom to avoid conflict. Han said the U.S. is an important friend to Taiwan but should not be relied upon to resolve cross-strait conflict. Cherishing Taiwan’s alliance with the U.S. is one thing, he said, but taking it for granted is another. We must foot the responsibility of maintaining peace in the Taiwan Strait so the people can enjoy a prosperous and democratic lifestyle, said Han. The “1992 consensus” is a pragmatic tool for accomplishing this goal, he added. 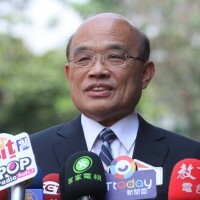 Han said if the Democratic Progressive Party (DPP) government is unwilling to acknowledge the “1992 consensus,” they should propose new, concrete measures to guarantee peace and safety in the Taiwan Strait and spur on Taiwan’s economic development. Han then emphasized the importance of having one’s feet planted on the ground and remaining in touch with the people, CNA reports. 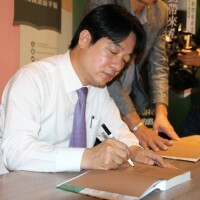 Harvard professor C.-T. James Huang who attended the event reported that Han was not directly asked if he would run for president in 2020, but audience members expressed concern on cross-strait relations, and questioned whether Taiwan would be “sucked into” China. Huang said Han remarked that the only way to resolve the difficult issue is for everyone to remain open and friendly. If both sides remain at odds, he said, the future will be difficult.